A South African religious Sister has been reappointed by Pope Francis to the Pontifical Commission for the Protection of Minors (PCPM) for a second term. Precious Blood Sister Hermenegild Makoro, the secretary- general of the Southern African Catholic Bishops’ Conference who was first appointed to the commission in 2014, said the last three years had been a learning curve for her. “The accompaniment of the panel of people who have been abused or relatives of people who have been abused is an opportunity for us to actually hear their proposals to us as a commission so that we really respond to the needs of the people,” Sr Makoro told The Southern Cross. Pope Francis has re-confirmed US Cardinal Seán O’Malley as president of the PCPM and named 16 members to this advisory body, including nine new members. Sr Makoro is one of seven returning members. Its specific task is to propose to the pope best practice initiatives for protecting minors and vulnerable adults from the crime of sexual abuse and to promote local responsibility in the particular churches for the protection of all children, young people, and vulnerable adults. Over its first four years, the PCPM has worked with almost 200 dioceses and religious communities worldwide to raise awareness and educate people on the need for safeguarding in our homes, parishes, schools, hospitals, and other institutions. As decided by the founding members at the September 2017 plenary, the new PCPM staff will begin their term by listening to and learning from people who have been abused, their family members, and those who support them. This “victim/survivor first” approach continues to be central to all the commission’s policies and educational programmes. 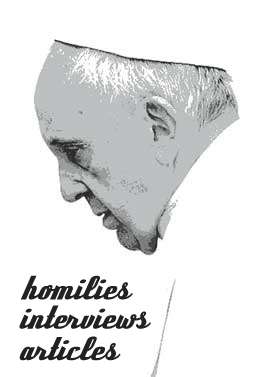 The PCPM wishes to hear the voices of victims/survivors directly, in order that the advice offered to Pope Francis be truly imbued with their insights and experiences. The opening session of the April plenary meeting will begin with a private meeting with several people who have experienced abuse. The members will then discuss various proposals to foster ongoing dialogue with victims/survivors from around the world. Discussions have been underway for some months with a view to creating an international survivor advisory panel, a new structure shaped by the voices of victims/survivors and building on the experience of the Survivor Advisory Panel of the National Catholic Safeguarding Commission in England and Wales. Previous story And How Did God Punish Adam?